The Academy Awards are coming up in a couple weeks, and while our stupid, America-centric culture would like you to think the Oscars are the last word in movie-based awards, that’s far from being true. There’s also the U.K.’s BAFTA awards, which are just as legitimate as the Oscars but have a creepier trophy design and seem a little classier than the Oscars because of all the accents. Anyway, the BAFTAs were handed out this weekend, just a few days after the organization announced that Bryan Singer had been scrubbed from the nominations over sexual assault allegations. With Singer excised from the event, the only things left to focus on were the awards themselves, and like a lot of other award shows this year, the favorite going into the event was... The Favourite. 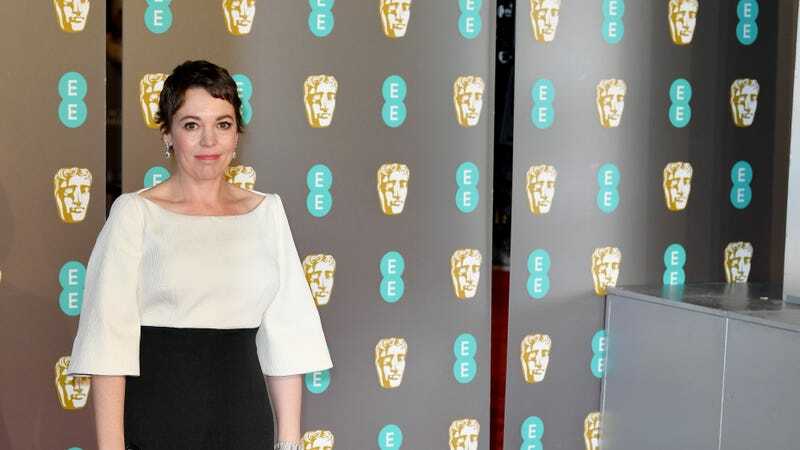 Unlike all of those other award shows, though, The Favourite actually did pretty well at the BAFTAs. It took home seven golden masks, including Best Leading Actress (for Olivia Colman), Best Costume Design, Best Original Screenplay, Best Supporting Actress (for Rachel Weisz), Best Makeup And Hair, Best Production Design, and Outstanding British Film. Of course, being an outstanding British film doesn’t necessarily mean something is the best film of the year, as that honor—and a handful of others—went to Roma.